4. Advertising Jingles And Sloganeering Campaign On Consumer Buying Behaviour. 8. 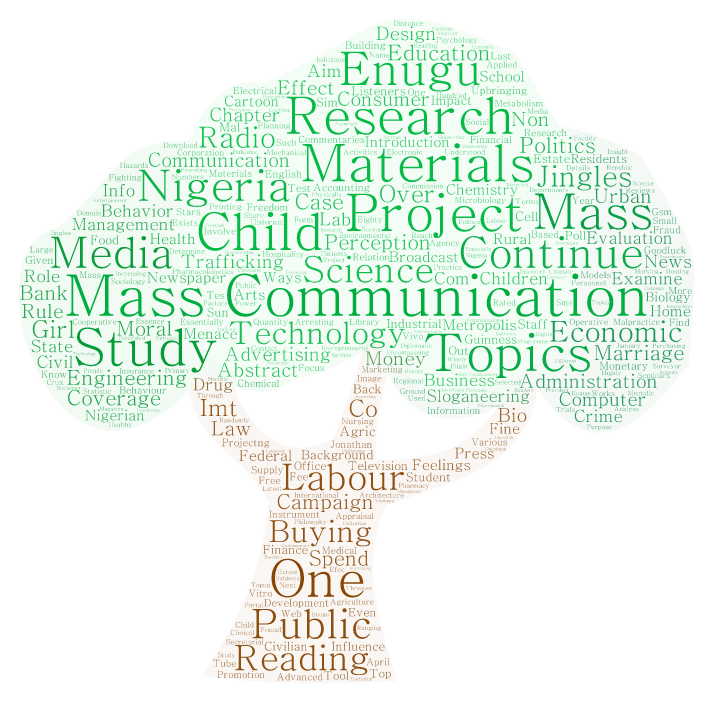 The Perception Of Feelings Of The Public Over Mass Media Coverage Of Child Labour, Child Trafficking And Girl Child Marriage In Nigeria. 11. Determine The Various Ways In Which Students Spend Their Money And How To Spend Their Money. 14. Advertising Jingles And Sloganeering Campaign On Consumer Buying Behavior.